A fall and spring bill will be mailed to your home address. 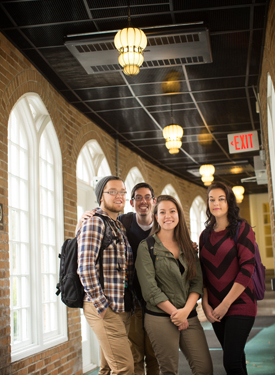 Students are billed separately for each semester. Your financial aid will appear as credit toward the charges on your bill. All aid is transferred into the student account no earlier than 10 days prior to the start of each semester. Any balance owed is due one week before the semester begins. To monitor your financial transactions and access your billing statements go to myMU. You can view your Account Balance and Statement. Pay online: https://forms.misericordia.edu/payonline/ Misericordia accepts Visa, MasterCard, or Discover card. A two and a half percent (2.5%) convenience fee will be added to all debit or credit card payments. Pay by cash or check in person: at the Student Accounts department located in Room 118 in Mercy Hall between the hours of 9:00am and 4:00pm. Tuition Reimbursement: complete the Tuition Reimbursement Form and include a letter from your employer detailing the terms of your tuition reimbursement benefit. Both items can be faxed to P# 570-674-3063. The tuition balance is due thirty (30) days after grades have been issued. The thirty (30) day grace period does not apply to the final semester. Deferred payment plan (Part Time Students Only): tuition is paid in installments. Twenty percent (20%) of the tuition is due at registration and the remaining balance must be paid by the end of the class.